3 Bedroom 2 Bath 2013 Custom Built Home, by M. Lahr Homes will make you look no further! This College Park home includes an open floor plan with distressed wood flooring throughout. The kitchen features granite counter tops, glass tile backsplash, solid wood cabinets, and stainless steal appliances. An oversized master suite hosts a custom built walk in-closet, bath including a double vanity and a broad frameless glass shower. The exterior has hardy board siding, a spacious 145 sp.ft. front porch with tongue and grove wood ceiling. If you prefer more privacy, the fenced in backyard provides a brick paver patio and grassy area for plenty of activities. Other features of the home include: fully framed windows, plantation shutters, craftsman doors, molding, and high end hardware and fixtures. Enjoy walking to the exquisite restaurants, coffee shops, parks, and boutiques of College Park. Pack your bags-- IT'S MOVE IN READY! Lot Size: 0.16 Acres / 7006 Sq. Ft.
SchoolsClick map icons below to view information for schools near 548 W King Street Orlando, FL 32804. MFRMLS data last updated at April 23, 2019 9:43:13 AM PST. Home for sale at 548 W King Street Orlando, FL 32804. 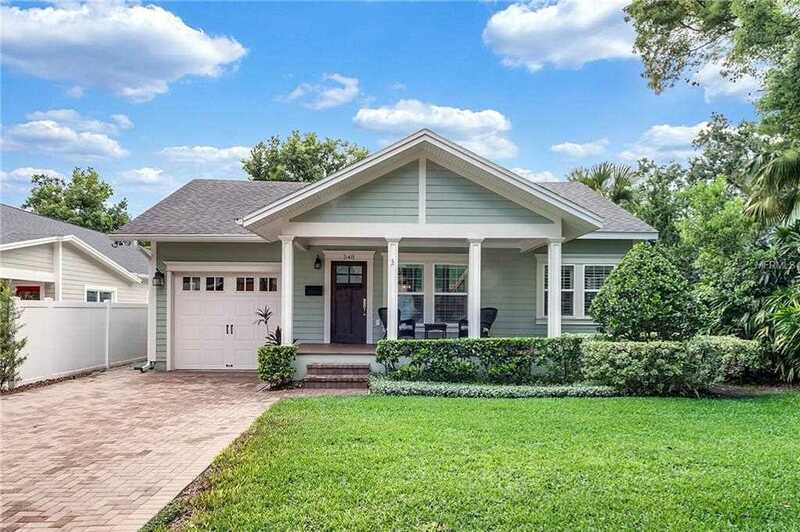 Description: The home at 548 W King Street Orlando, FL 32804 with the MLS Number O5731711 is currently listed at $542,500 and has been on the Orlando market for 230 days. You are viewing the MLS property details of the home for sale at 548 W King Street Orlando, FL 32804, which is located in the Anderson Park subdivision, includes 3 bedrooms and 2 bathrooms, and has approximately 2113 sq.ft. of living area.